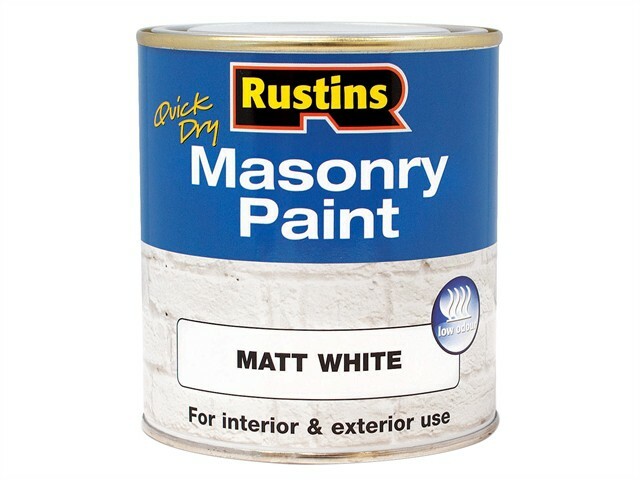 Rustins Quick Dry Masonry Paint is a high quality, acrylic paint which is suitable for dry exterior masonry surfaces. To apply, use a large brush and apply evenly. The surface area must be clean, dry, free from dust and other contaminants likely to affect adhesion. No primer is required if fresh mortar has been applied to pointing. Do not use on damp surfaces. One coat is usually sufficient. Drying time: approx 30 mins, depending on temperature and humidity. Coverage: 14m² per 1 litre.